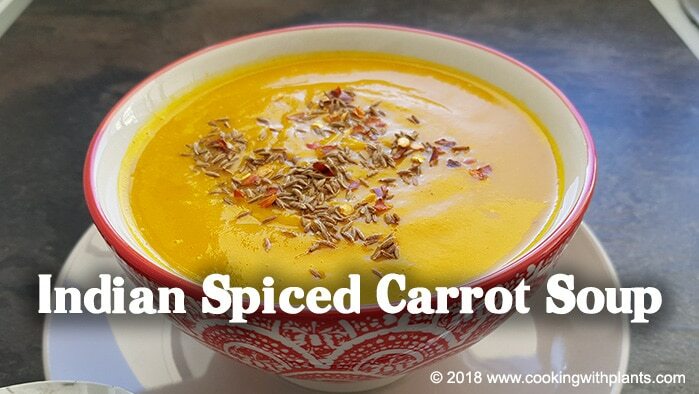 This delicious spiced carrot soup is great if you want something quick and easy but also hearty and healthy! You can make it with leftover ingredients and all you need is a blender! Add carrots, spices and coconut milk to blender. Add boiling water to blender. Blend, making sure to vent the lid and leave it open a little bit to let out the steam. Serve and garnish with cumin seeds and coconut milk or vegan pouring cream.